A Wild Streak | Life. Realized. When I peruse Pinterest, I often come across photos like these. They depict a sort of wild beauty that I admire. And while I won't be going full rainbow anytime soon, I have to wonder why not. If that was my thing, I mean. I am a mom. And a wife. I'm a homeowner who pays her bills, taxes, and donates to the Humane Society. I'm on the PTO. I am a career-driven college senior. What does my hair have to do with any of this? Society's expectation of me, I suppose. I want to be taken seriously as a person, and rainbow hair could have a negative impact on that. But it shouldn't. Just because I'm all of these things, and walk the straight and narrow, doesn't mean that I have lost the desire to experiment with beauty. And why should responsibility preclude me? After some soul searching, I came to the conclusion that I can still be a wild child at heart and find ways to express that facet of my personality externally. I just take a quieter approach. Besides, now is the time. In a few short years I'll be doing the 9-5. I don't bleach my hair before applying the color, so the results really are semi-permanent and more subtle than if I did. Still, they stick around for a while and the color intensity suits me just fine. 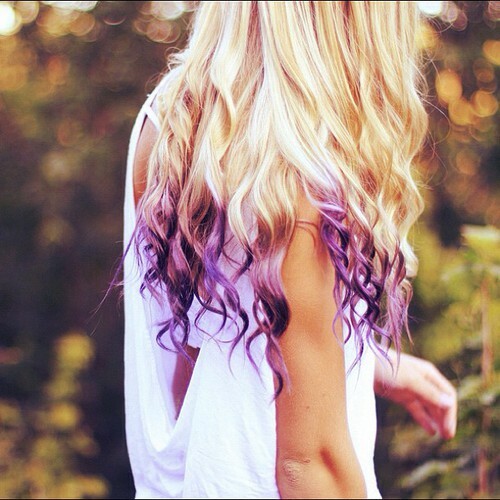 I just bought some hair chalk which offers even less commitment. I'll let you know what I think. What do you think? The best of both worlds? Any opinions on grown-ups sporting colorful highlights? I can take it. 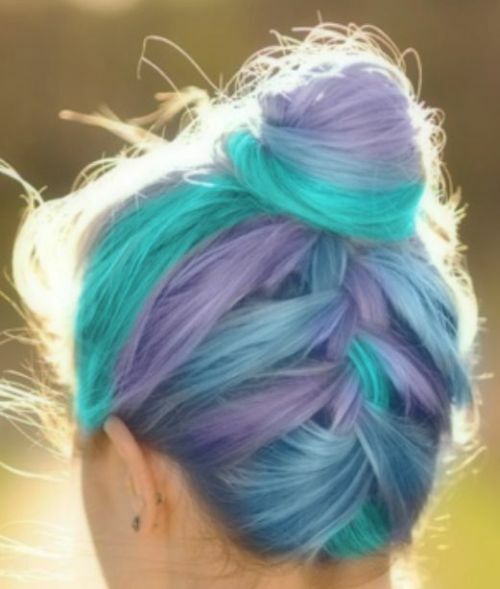 I love color like that in hair, I would love to do it myself.